Uncle Bubba's Country Store has the perfect hat for all Bubbas and Bubbettes. 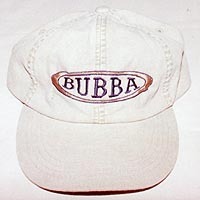 Get the hat that proudly announces "I'm a Bubba or Bubbette! " Our hats even make great gifts for your favorite Bubba or Bubbette! Enter Uncle Bubba's Store to order your hat online.